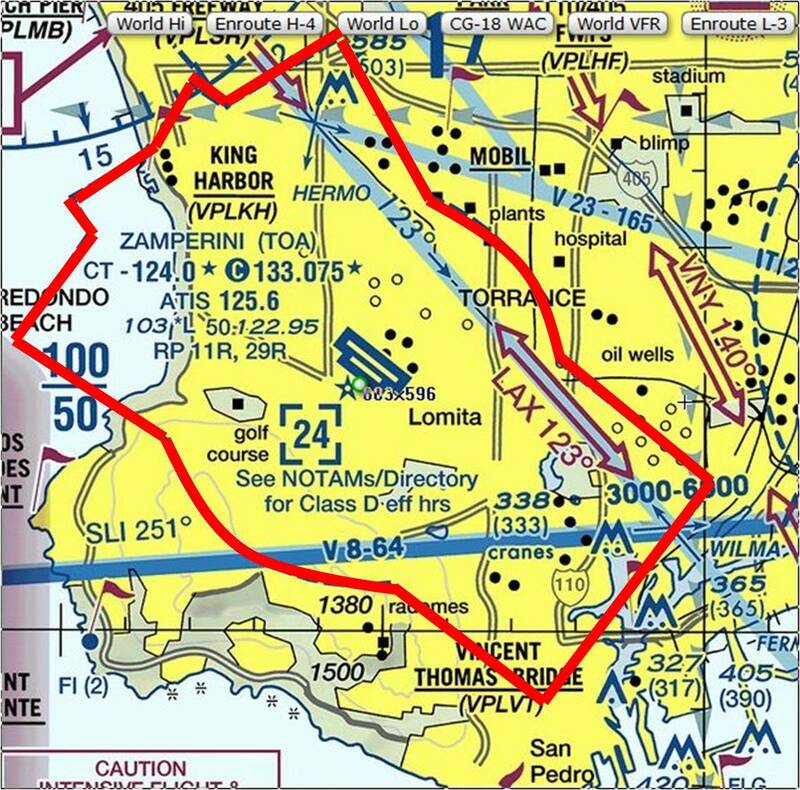 Large jets from LAX and Long Beach airports must fly outside the Class D airspace--they must be above 5000 feet. Otherwise, they could fly as low as 1000 feet above the ground. The FAA limits building height to under 200 feet within 3.8 miles of the airport. Otherwise, we could see dense, vertical development with more traffic and congestion.